With more than 125 million copies sold on more than 30 platforms, Tetris is rolling into its 25th Anniversary with a bright future. 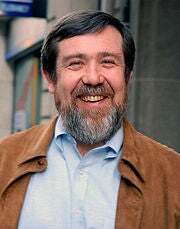 Alexey Pajitnov developed the puzzle game while working at the Soviet Academy of Sciences in 1985. In 1991, he and Henk Rogers founded the Tetris Company to prolong the life of the casual classic. "I expected it to be a good game, not worse than anything else," Pajitnov told Kotaku recently. "I never expected this." His hand in creating not just Tetris but the casual games market has earned him, of not money, than at least a sort of fame. "People ask me, 'Are you still alive? I think you are a legend,'" Pajitnov said about his experience wandering the halls of E3 this year. While Pajitnov remains a lifelong Tetris player, he did once try his hand at creating a game that wasn't a puzzler. Ice and Fire was a first-person shoot released in 1994. It was also, as Pajitnov says, a complete failure. Pajitinov returned to puzzle creations with games like Pandora's Box and Hexic HD, but his greatest success still remains Tetris. "We don't look at Tetris as being a retro game," said Rogers. "It did more last year than any year it its history. We don't have to market it. Tetris is ten percent of all games sold on mobile phones." While the classic remains popular, Rogers and Pajitnov continue to iterate Tetris. Their latest version features six people gaming together online using the familiar pieces and also new attack and defense items. It is currently being tested in Korea. "That's an interesting evolution of Tetris," Rogers said. "The future is a country that has 48 million people living in it and the biggest casual gaming site in the country has 24 million registered users. That country is Korea. That's what's going to happen in the rest of the world." The next evolution for the game, Rogers hopes, will be turning it into a competitive sport. "We are going to turn Tetris into the first real virtual sport," Rogers said. "Sports like baseball and football were created at a time when our future was a lifetime of physical activities and physical fitness. But now that's not as important, it's more about mental fitness today." "Tetris is a virtual sport that exercises the mind. That is the definition of a virtual sport." With Tetris available on so many things, from phones to consoles, t-shirts to jewelry, I asked Pajitnov what his favorite Tetris spotting was. "On a sky scraper," he said. "I heard about it and saw the pictures and thought, 'Wow, that's great, that's something.' I would like to have a real competition on that."